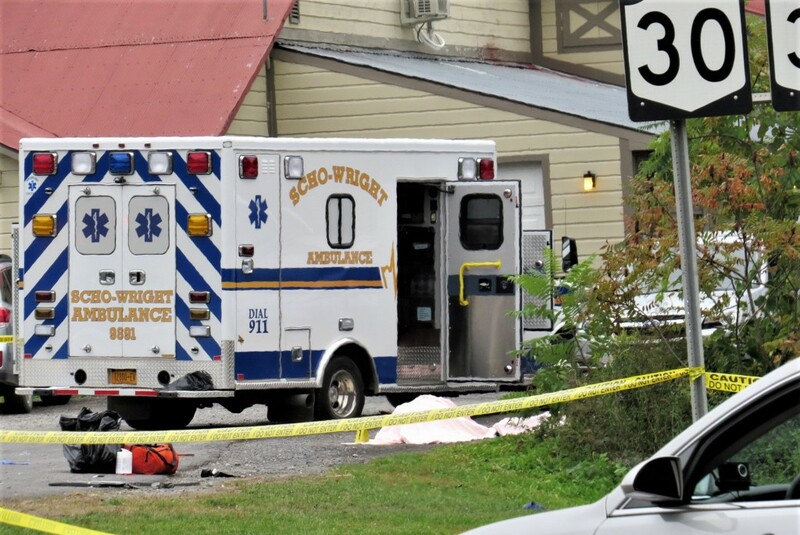 WASHINGTON (AP) — Federal safety investigators have been unable to conduct a full examination of the limousine involved in a crash that killed 20 people nearly two weeks ago in upstate New York because of a criminal case against the limo company's operator. While the National Transportation Safety Board says it is working cooperatively with local officials, people familiar with the matter told The Associated Press on Thursday that investigators have expressed frustration over their inability to fully examine the limousine. They spoke to The Associated Press on condition of anonymity in order to discuss sensitive conversations. The NTSB is expected to be granted hands-on access to the limo "in the next few weeks," police spokesman Beau Duffy said. "The vehicle is the most important piece of evidence that will help ultimately determine the cause of the crash, and the extent of any criminal wrongdoing," Duffy said in a statement Thursday. NTSB investigators have looked at the limousine and are working closely with the state police to conduct their investigation, which could take more than a year to complete, said NTSB spokesman Eric Weiss. "The investigation is ongoing and we anticipate getting everything we need in a timely fashion," Weiss said. "They have a criminal investigation to do. We have to accommodate that." The district attorney in the upstate New York county where the crash occurred told police that the NTSB can conduct a "hands-on inspection of the vehicle" once the state police examination is complete and the limo operator's lawyer has had an opportunity to access the vehicle, Duffy said. "The preservation of evidence is critically important to the criminal case; if the NTSB were allowed to handle evidence before it has been fully examined and processed by the state police and the defense, it would jeopardize the criminal case," he said. Klepper reported from Albany, N.Y. Associated Press writer Mary Esch in Albany, N.Y., contributed to this report.